Johnny Gaudreau collected a career-best six points -- including a hat trick -- and the host Calgary Flames exploded with six goals in the third period en route to a 9-4 comeback victory over the New Jersey Devils on Tuesday night. 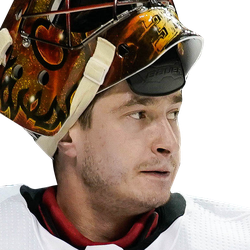 David Rittich made 22 saves for the Flames, who have won two straight, but this one was all about offense, specifically the third-period comeback. With the Flames trailing 4-3, Derek Ryan scored 41 seconds into the third period with a fortunate bounce -- his shot ricocheted off a defender's stick and into the net -- to send the Flames off and running. Gaudreau was awarded a penalty shot 20 seconds later, and he converted for his second of the game. After Ryan, who finished with three points, potted his second of the night at the 2:37 mark of the frame by tapping home a loose puck on an odd-man rush, Gaudreau completed his hat trick at 12:01 with another backhand tally. He promptly set up Sean Monahan for the team's eighth goal with 89 seconds remaining in the game. Matthew Tkachuk rounded out the scoring 16 seconds later, netting his 30th goal of the season. The Flames lead the NHL with 103 third-period goals this season. Last season, they netted a league-worst 61 goals in the third period. It was a fitting finish to a wild game. When Gaudreau opened the scoring 5:05 into the affair, he snapped a nine-game goal drought and set career marks for goals (31) and points (85) in a season, but the Devils responded to take a 3-1 lead thanks to goals by Blake Coleman, Kyle Palmieri and Kenny Agostino. Sam Bennett and Elias Lindholm pulled Calgary back even by the midway point of the clash, only to see Travis Zajac's short-handed goal with 2:11 left in the second period give the Devils a 4-3 lead. Monahan and Lindholm both collected four points while Bennett and Mark Giordano had two-point outings for Calgary. Coleman finished with two points for New Jersey. 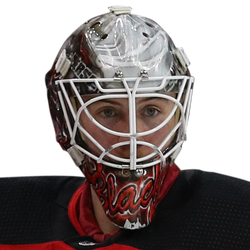 Mackenzie Blackwood stopped 30 shots for the Devils, who have lost seven straight (0-6-1).